Today, October 10th 2008 is the release date of Heather Nova's new album The Jasmine Flower. The new album is available in stores in Germany, Austria and Switzerland. According to a note on Heather's myspace website, it will be available in France shortly afterwards and in the UK from Amazon. 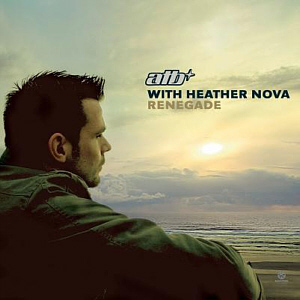 The album is as well available as high-quality MP3 (192kBit/s) download on the newly designed official artist page www.heathernova.com. It comes with a 12 page booklet as PDF format. The german ITunes store offers along with the album the additional live track "All I Need" from the Intimate Evening with Heather Nova concert in Groningen 2006. Here is a brand new exclusive interview with Heather Nova about the new album 'The Jasmine Flower'. Enjoy! A big thank you to Felix for providing this interview and the information. just to let you know I put a track from my new album, "The Jasmine Flower" up on myspace for you to hear. It's called "Ride". Enjoy..... more to come! The album will be in shops in Germany, Austria, Switzerland on the 10th of October. In France shortly afterwards, in the UK from Amazon and Worldwide on iTunes and other download sites. CDs will also be available at the shows in October, and directly from www.heathernova.com. The new Heather Nova album The Jasmine Flower will finally be released in germany as a twelve track album. The song "Always Christmas" was added to the original tracklist. The first track of the "The Jasmine Flower" album - "Ride" - and track number 12 "Always Christmas" were made available online to radio stations as electronical promotion single. The german physical album release of The Jasmine Flower will not contain a bonus CD as mentioned in one of the previous news. This bonus CD will be released as separat album in spring 2009 and will be a live recording of the concert Groningen, from March 19th 2006, which was part of the Intimate Evening Tour with Heather Nova. Some online stores, like iTunes and musicload.de will provide additional songs to "The Jasmine Flower" from this concert to promote the album. iTunes will have "All I need" and musicload.de will have "fool for you" added to their online distribution. The songs "you left me a song" and "this body" will be available as well on most online stores. The CD booklet of the new album will include the lyrics of the songs. I have some good news – on October 10th I will be releasing an album of all new material, called “The Jasmine Flower” . I played around a lot over the last 2 years with different sounds and ideas, but in the end I decided I wanted to make my most stark record to date, so I recorded the songs just me and my guitar. Afterwards we added a string quartet to a few tracks. I have a home studio here in Bermuda, but when I was ready to put down the tracks, the whole thing started breaking down – first the mixing desk then the computer itself died. I was very “in the zone” to record and didn’t want to wait what could be weeks for all new gear to arrive, so I decided it was a lesson in simplicity– I realized I could still record and mix the album on my solar powered laptop. So there you have it – that’s all you need to make a great sounding album. Sun and songs. I will also be including a bonus cd - a concert recording from my last tour. I hope you enjoy the album, and I hope to see you on tour. Here are my tour dates..
Heather Nova Album News : New Heather Nova studio album in October 2008! According to SonyBMG, Heather Nova will release on October 10, 2008, a new studio album with 12 songs! The album title is "The Jasmine Flower". The working title for the album was "Dark Horse Heart". In some German online stores, you can already pre-order the new album, but you may search after the working title to find the album. There is no information yet what happened with the "best-of" release that was planned to release this fall. Three days after the release of "The Jasmine Flower", Heather Nova starts her European tour, with playing in the United Kingdom, the Netherlands, Belgium, Luxembourg, France, Germany, Austria, and Switzerland in October 2008 (see "Tour Dates"). 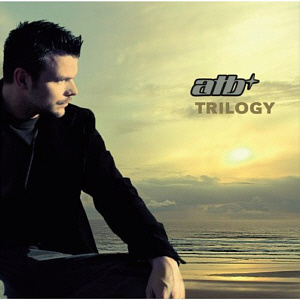 The new ATB album Trilogy is now released in Germany. Heather Nova has cowritten three songs on it and is singing on all three songs as well. The album version of Renegade differs from the already released 3 versions on the CD Single. Today the CD-Single Renegade by ATB with Heather Nova was released. The CD-Single features 3 tracks and a video. Heather Nova is currently writing songs for the new album and she hopes to record next summer. Besides, she will sing on sunday, November 19, in the afternoon at the free "family day" of the "Save The Gardens" campaign in the Botanical Gardens of Bermuda. There had been plans to built a hospital in the Botanical Gardens, and Heather Nova protested against the plans, because parts of the gardens had to be destroyed. In the meanwhile, the plans were delayed. Heather Nova will sing approximately 20 minutes. Heather Nova is writing songs for her new album! There is no album release date planned yet. Besides that, there are considerations to release an album with all her unreleased recorded tracks. Among them probably "When/If The Music Stops", which was recorded for Redbird, but finally didn't make it on the album. Heather Nova's new album "Redbird" was released today in UK. Heather Nova's second single from Redbird will be Motherland ! This will be again a single you cannot buy! It will be aired on the radio. Heather Nova's album Redbird, already released in some European countries, will be released in the UK on October 3rd. Today, September 6th, marks the release of Redbird in France. As reported earlier, it is a digipak, with the same tracklisting as the other versions that are already available. It also features the same track times mistakes. The Welcome single cover is used behind the disc tray. The disc itself is slightly different, with a white background on the edges and a maroon background beneath the black marks. "Heather Nova Redbird" is written in black instead of exposing the CD's surface. The legal mentions stretch all the way around and are not the same. Be sure to check out our picture gallery for pictures (coming soon). Currently I've only seen this version, i.e. no standard jewel case for now. You can order it now on FNAC.com for 15.99€ plus postage. In FNAC stores it is sold for 17.50€. It is also available at ALAPAGE.com, for 15.76€, but the delivery is up to 6 days in France... to say nothing of foreign countries! [EDIT] It is now available on AMAZON.fr for 16.62€. In any case, it looks like delivery outside of France costs at least 8€. Heather Nova's new album Redbird, which was released last week is the highest new entry in the german MediaControl Charts. It went directly to number 10. It's even more remarkable as there was no single upfront.